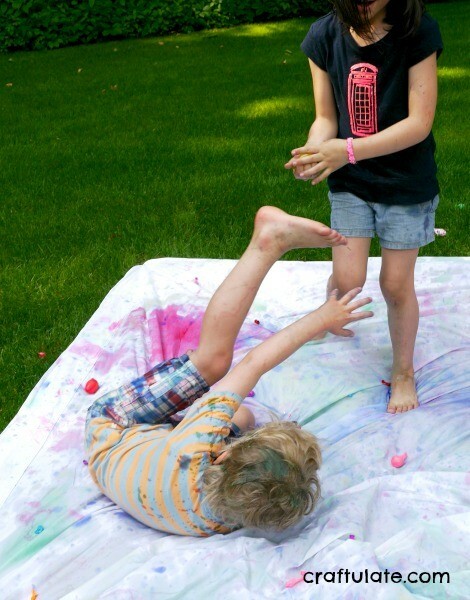 Paint bombs. Yep. That’s what I said! Here’s some crazy outdoor art that the kids made! 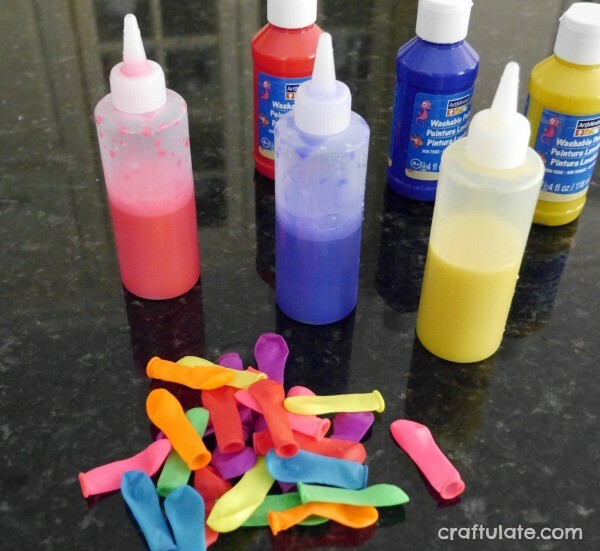 I’d love to report that filling the balloons was REALLY easy, but that would be a lie. After some trial and error I used squeeze bottles. I filled them half full with water, then added generous squeezes of paint and shook to mix. 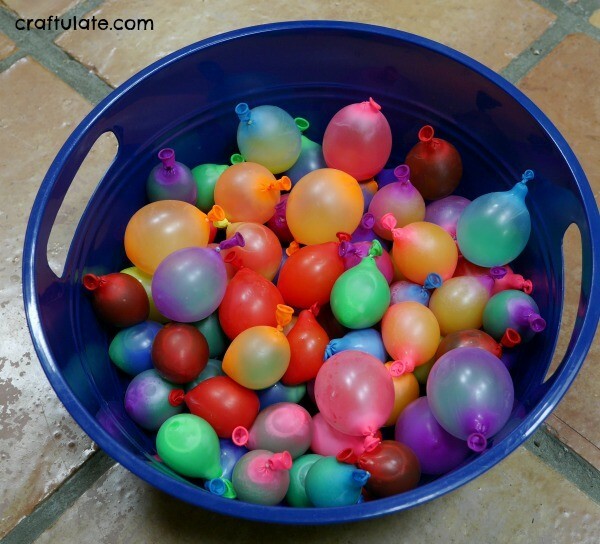 Then I put the water balloon over the nozzle of the bottle, and squirted some watery paint into it. It was a bit tricky to then get the balloon off without all the paint being sucked back into the bottle, but I got the hang of it. The balloons were very varied in terms of size but I figured that the kids probably wouldn’t mind too much! I did have to make LOTS though! 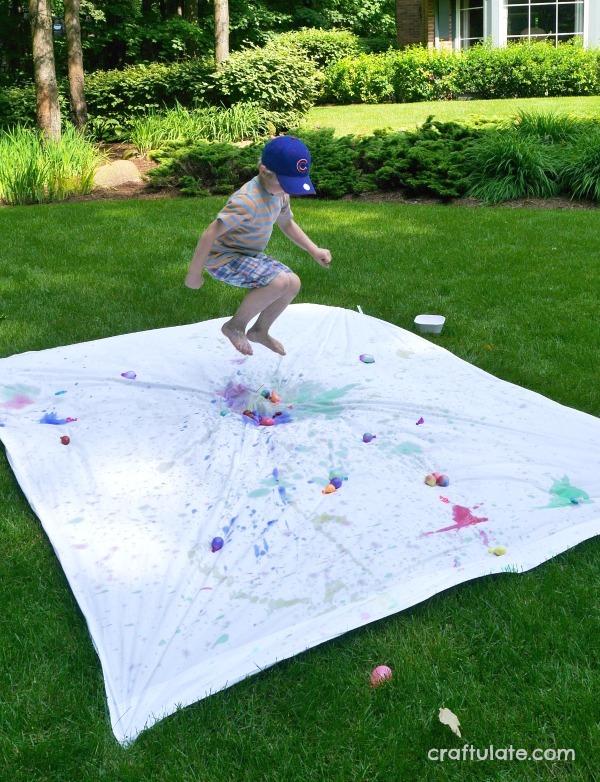 I set up the activity by securing an old white flat sheet to the grass with metal pegs. Then the fun could begin! 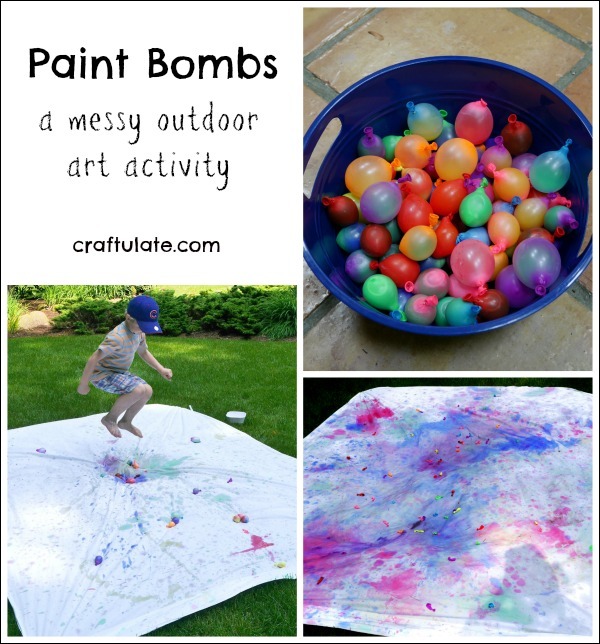 Except… when the kids threw the paint bombs – they didn’t smash – they just bounced. In hindsight I should have set this up on the patio. But after we all got over the disappointment, my husband decided to stomp on one and then the activity took off! 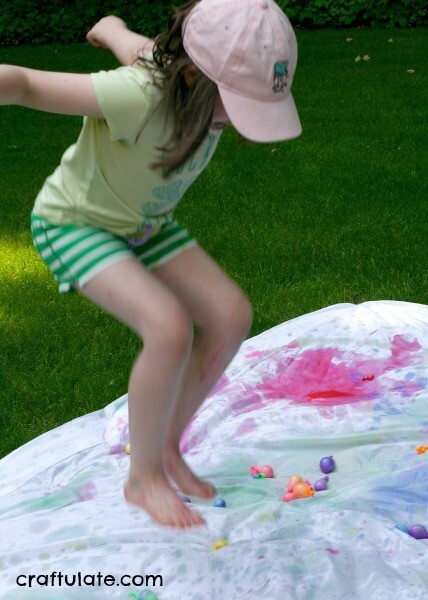 Mr F (5.5yrs) particularly loved gathering a pile of paint bombs then jumping on them! This was all just a little bit crazy for F, who mostly watched. 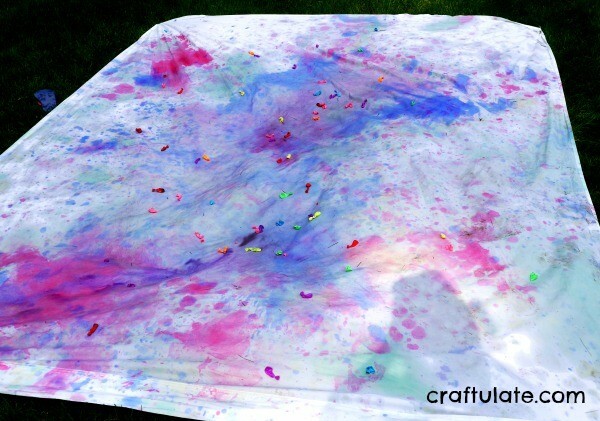 But he did throw a few paint bombs onto the sheet for the others to jump on! And there was a LOT of jumping! Miss E (7yrs) worked out that she could squeeze the balloons over her brother’s head… and there may have been some more attacks from his twin sister, Miss L.
However he was actually quite happy to burst the balloons onto himself! This was a REALLY fun experience that the kids loved. It turned into quite a gross motor activity, too! 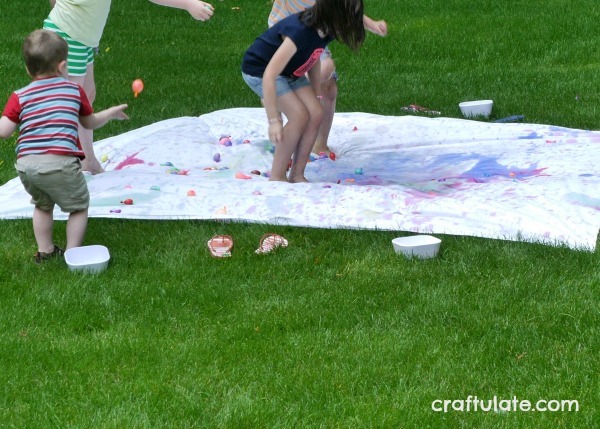 Oh, and in case you’re wondering, the paint bombs were so diluted that it was super easy to wash it out of all the clothes, and it rinsed off the kids’ skin easily too.